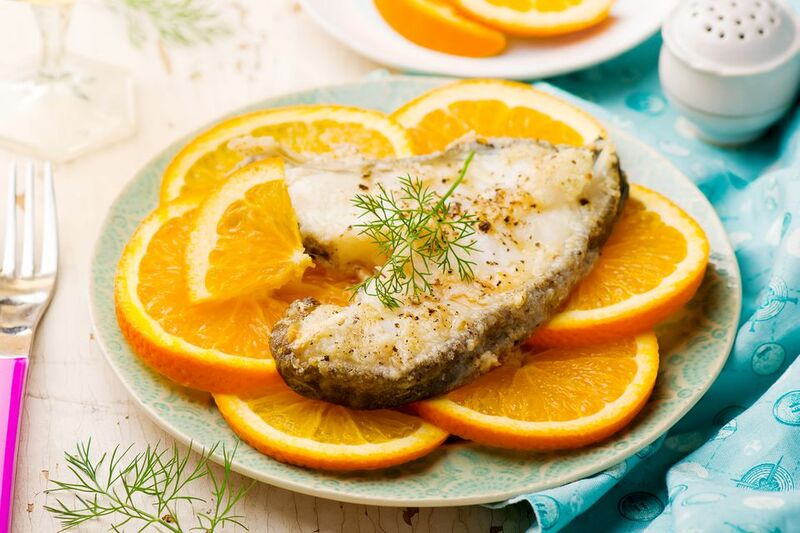 The orange slices placed on the halibut steaks helps to baste the fish as it cooks. This fruit based flavor livens up the fish and is sure to impress. You can also use lemon or lime slices if you're looking for something more tart. Soak mesquite chips in water for 30 minutes. Place mesquite chips in a smoker box or wrap in aluminum foil and punch holes through the foil. Gently wash the halibut steaks and pat dry. Brush the halibut steaks with butter or olive oil (your choice). Sprinkle with pepper. Cut the orange into slices. When the grill is good and hot, put on the steaks, placing orange slices on top to cover. Turn after about 4 to 5 minutes (use your discretion, thicker steaks will take longer) cook until the middle is around 160 F (72 C), or until a skewer passes through the steak with uniform resistance (or as we always tell people, cook until done). Once cooked, remove from heat, top with chopped parsley and serve with your favorite side. How Do You Grill Perfect Cedar Plank Halibut?